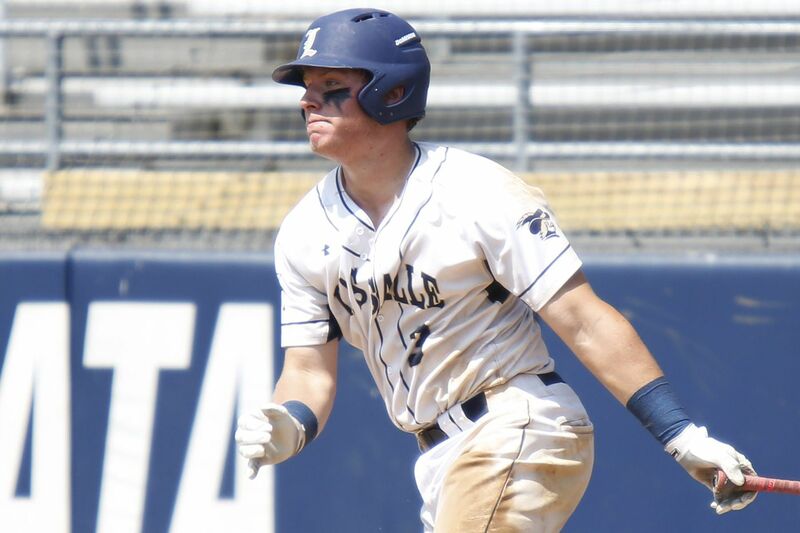 La Salle senior catcher Andrew Cossetti was voted the Catholic League's offensive player of the year. Minimum of 40 at-bats. Statistics are through Thursday. Shipley senior third baseman and pitcher Gerard Sweeney is headed to Lehigh. St. Joseph's Prep senior first baseman Brandon Sanders. Cardinal O'Hara's Dan Hopkins, right, steals second base, beating the throw to Archbishop Carroll's Sean Lawley. Marple Newtown shortstop Kevin Merrone. Shipley pitcher and outfielder Cole Humes. Frankford shortstop Dioanny Mejia, right, looks for the ball on a pickoff attempt at second base against La Salle. Perkiomen Valley senior infielder and pitcher Brock Helverson.